Apples and honey. The sound of the Shofar. Rosh Hashanah is coming. Would you like your children to be a part of it? Your family is welcome to join Chabad for a free Rosh Hashanah Family Service. Families of all affiliations and backgrounds will join together for song, stories, and prayer, and will listen to the sounding of the Shofar. Some short prayer will be recited in Hebrew and English and it will be inclusive, warm, and spirited. Apples dipped in honey,and yummy honey cake will be served. 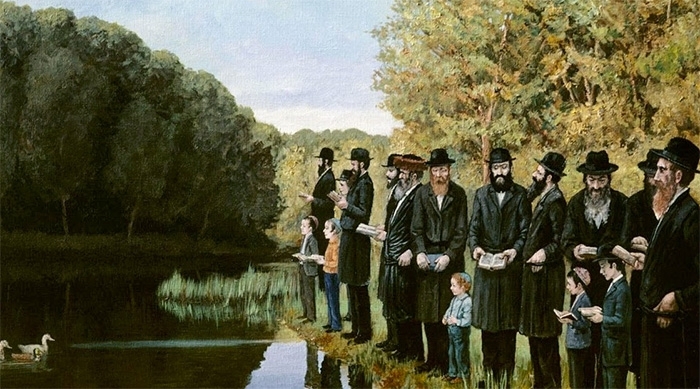 Tashlich is a beautiful lakeside ceremony in which we throw our misdeeds into the ocean and pray for a healthy and happy sweet new year. The Family Service will be held at the pond at Volunteer park. The event is free of charge and open to all. Date: Monday, September 10th at 5:30 PM at the pond at Volunteer Park, 1247 15th Ave E, Seattle, WA 98112. There will be a short service followed by a shofar blowing, honey cake, apples dipped in honey and then Tashlich.